Choosing the right data backup plan. When it comes to saving your business data, there are many options. Most small business owners start by researching their hardware and software choices, but this approach can quickly send you down the wrong road and make you lose sight of what’s really important. Instead, you should start by determining how a data or service loss might affect your operations and bottom line. That’s where CMIT Solutions comes in. We help you determine your data-preservation needs, and then provide the best backup and restoration services for your business. We configure your data-preservation services so that they can grow with your business. How many hours’ worth of data can your business afford to lose? 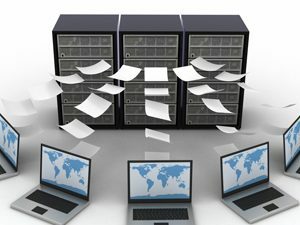 If you add only a small amount of information into your computers on an average business day, you may be able to tolerate several hours’ worth of data loss. If you’re constantly entering new information, you may only be able to tolerate a few minutes of data loss. According to HIPAA standards, the healthcare industry is not allowed to lose any data. How long can your computers or network be down before your business is harmed? Some companies can continue for a day or more, while others will start losing money in less than an hour. A backup plan must be customized to the demands of the individual business, taking into account variables like budget and ideal network speed. In data protection and so much more, the business needs should drive the technology decisions. We manage your data backup and recovery systems, and regularly test them to make sure you’ll be able to restore your data after a systems failure.